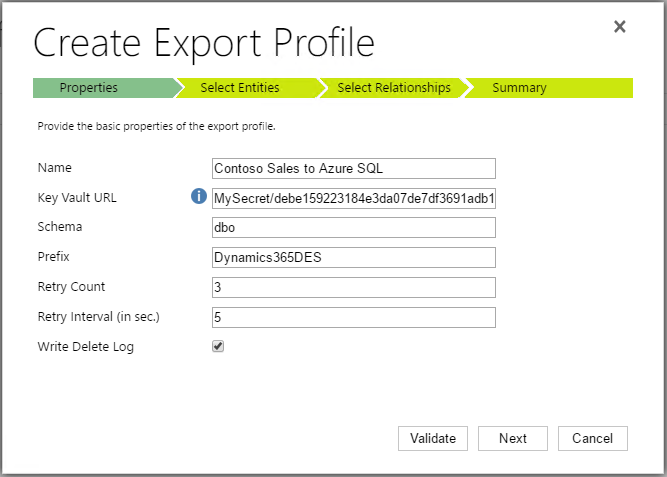 The Dynamics 365-Data Export Service is an add-on service made available on Microsoft AppSource that adds the ability to replicate Dynamics 365 (online) data to a Azure SQL Database store in a customer-owned Azure subscription. The supported target destinations are Azure SQL Database and SQL Server on Azure virtual machines. The Data Export Service intelligently synchronizes the entire Dynamics 365 data initially and thereafter synchronizes on a continuous basis as changes occur (delta changes) in the Dynamics 365 (online) system. This helps enable several analytics and reporting scenarios on top of Dynamics 365 data with Azure data and analytics services and opens up new possibilities for customers and partners to build custom solutions. A Dynamics 365 (online), version 9.0 or later version instance. The Data Export Service solution must be installed. Get it now from Microsoft AppSource. 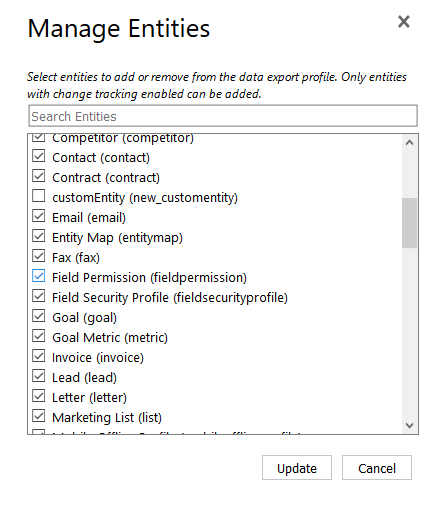 The entities that will be added to the Export Profile must be enabled with change tracking. To ensure a standard or custom entity can be synchronized go to Customization > Customize the System, and then click the entity. On the General tab make sure the Change Trackingoption under the Data Services section is enabled. You must have the System Administrator security role in the instance of Dynamics 365 (online). A Dynamics 365 (online) subscription. Only users that are assigned the Dynamics 365 System Administrator security role can set up or make changes to an Export Profile. The Azure SQL Database service can be in the same or a different tenant from the Dynamics 365 (online) service. Export Profiles must be deleted and then re-created whenever you perform any of the following actions on a Dynamics 365 (online) instance. An entity is deleted in Dynamics 365 (online). A field is deleted in Dynamics 365 (online). 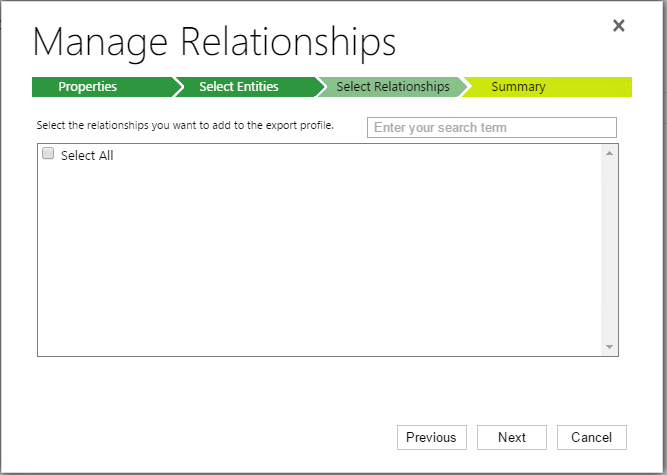 To export data from Dynamics 365 (online), the Dynamics 365 (online) administrator creates an Export Profile. Multiple profiles can be created and activated to synchronize data to different destination databases simultaneously. The Export Profile is the core concept of the Data Export Service. The Export Profile gathers set up and configuration information to synchronize data with the destination database. 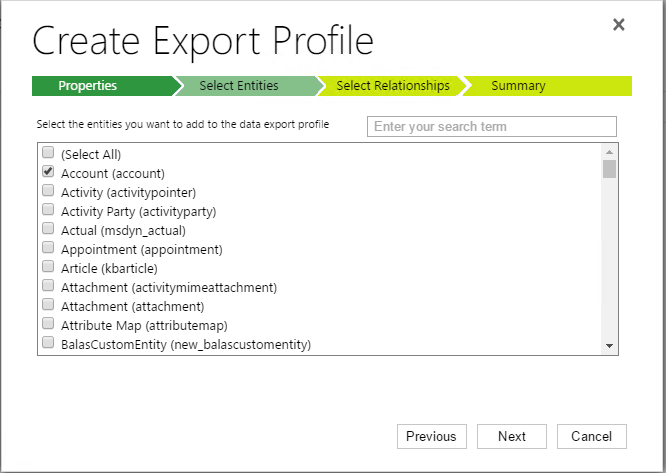 As part of the Export Profile, the administrator provides a list of entities to be exported to the destination database. Once activated, the Export Profile starts the automatic synchronization of data. Initially, all data that corresponds to each selected entity is exported. Thereafter, only the changes to data as they occur to the entity records or metadata in Dynamics 365 (online) are synchronized continuously using a push mechanism in near real time. Therefore, you don’t need to set up a schedule to retrieve data from Dynamics 365 (online). The Data Export Service does both metadata and data synchronization. Each entity translates into one table, and each field translates into a column in the destination database table. Table and column names use the schema name of the Dynamics 365 metadata. The Data Export Service solution is installed in your Dynamics 365 (online) instance. Your SQL Database service has enough storage space to store the Dynamics 365 data. You are a System Administrator in the Dynamics 365 (online) instance. In Dynamics 365 (online), go to Settings > Data Export. In the Properties step, enter the following information, and then click Next to continue without connecting to the Key Vault. Clicking Validateuses the Key Vault URL you provided to connect to the Key Vault. Sign in to your Dynamics 365 (online) instance and go to Settings > Data Export. Viewing the failed record logs can help you determine the cause of synchronization failures. 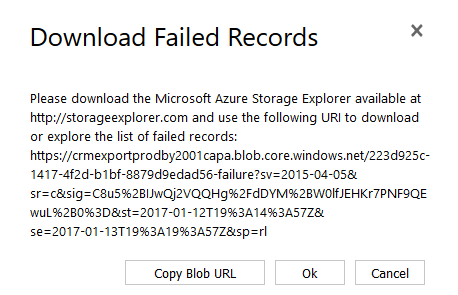 To view failed records in the destination Azure destination database, use Azure Storage Explorer, a free standalone app that allows you to easily work with Azure Storage data. More information:Azure Storage Explorer. In Dynamics 365, go to Settings > Data Export. The Data Export Service is architected to synchronize data changes to the destination database using a push mechanism by listening to changes as they happen in Dynamics 365. The service strives to push data within a few minutes, but there are number of factors that can influence end-to-end synchronization latency. The current work load on Dynamics 365. The data change rate in Dynamics 365. The maximum data change rate in Dynamics 365 for all the entities in the export profile is less than 3000 records per hour. Any sudden increase in the data change rate due to bulk change of records exceeding the maximum change rate will cause additional latency. $organizationIdList = Comma separated list of allowed Dynamics 365 organizations, listed by organization Id (organizationId), to enable for Data Export Service. To find an organization's Id, in Dynamics 365 go to Settings > Customizations > Developer Resources. The organization Id is under Instance Reference Information. An Azure subscription can have multiple Azure Active Directory tenant Ids. Make sure that you select the correct Azure Active Directory tenant Id that is associated with the instance of Dynamics 365 that you will use for data export. Go to Azure Active Directory > App registrations > Endpoints. 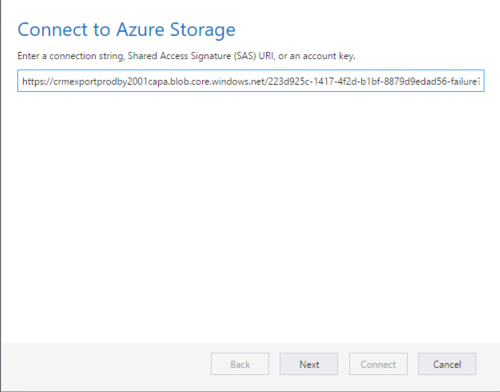 The tenant id is displayed in the endpoint URLs listed with the Azure subscription. 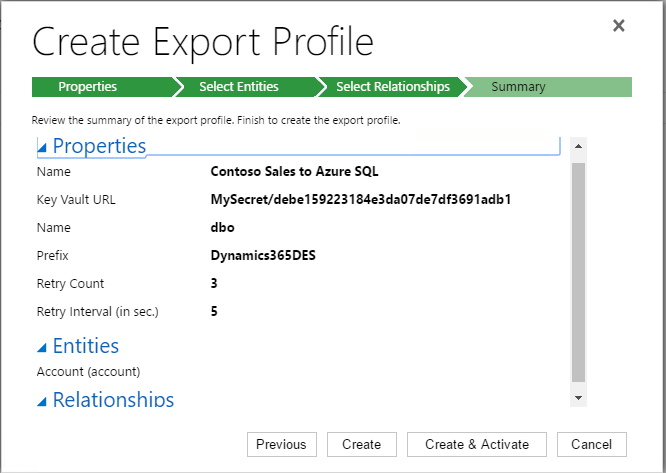 By using the Data Export Service, when you activate a data export profile from within Dynamics 365, the data of the entities added to the profile is sent to Azure. The initial synchronization includes all the data associated with the entities added to the export profile, but thereafter synchronization includes only new changes, which are continuously sent to the Data Export Service. Data sent to the Data Export Service is stored temporarily in Azure Service Bus and Azure Storage, processed in Azure Service Fabric, and finally synchronized (inserted, updated, or deleted) to the destination database specified in your Azure subscription. After the data has been synchronized, it is deleted from Azure Service Bus and Azure Storage. If there is a failure during data synchronization, minimal data corresponding to entity type, record ID, and sync timestamp is stored in Azure Storage to allow for downloading a list of records that were not updated. Data synchronization happens continuously between Dynamics 365 and the Data Export Service in a secure manner. Data is encrypted as it is continuously exchanged between Dynamics 365 and the Data Export Service. 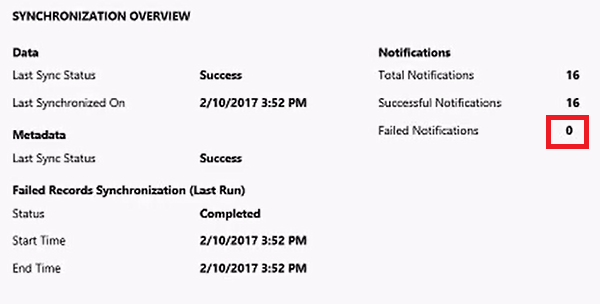 This provides the API and compute Azure VMs to process record synchronize notifications received from Dynamics 365 and then process them to insert, update, or delete record data in the destination database. Micro-services that are deployed on virtual machines managed by the Azure Service Fabric runtime handle all the compute services related to data synchronization. This provides the message bus into which Dynamics 365 inserts the synchronization notification messages that are processed by compute nodes in Azure Service Fabric. Each message stores information, such as the org id and record, for which for which to sync data.